Many Librans may be thinking of taking a gap year or sabbatical. You are in the mood for a break to throw yourself into something new. Librans may get the chance to travel to a far-flung place for a temporary work placement, or you may travel to do charity or humanitarian work. Travel in relation to charity work will involve travel to particularly desperate places where poverty is an issue, but not to areas which are war torn. This month, Librans may leave their regular, stable employment to follow a dream or a calling. This month, you may suffer from lingering coughs and colds, and you will need to take supplements as you are run down and need rest. In many cases, your body is tired after a long hard winter (or indeed a very hot summer), and illness can be symptomatic of this end of season fatigue. Illnesses you come down with this month can follow an unusual path, and in many cases, they may be exacerbated by allergies. Allergy testing and awareness of the things which you as an individual may have reactions to are essential. You do need to find your own answers to medical issues without becoming a hypochondriac who is searching for the medical dictionary every five minutes. You may get a new pet from a rescue centre or take in a stray – Librans enjoy both the comfort and challenge of keeping animals, and this is a rewarding month for animal lovers. Often animals fill a gap in your life this year which people and work cannot; this is not only keeping a dog (for example), but also the freedom horse riding or conservation can bring. Caring for an ill animal, i.e., injured bird, wild animal or cat is something you may get involved with spontaneously. Your choices this month often conflict with the ideas or values of others in your life and can put you on a collision course – if they cannot offer support, at least ask them to step out of your way. You are eager to learn and discover things for yourself; standard answers will not have relevance for you and may feel wrong – there is a strong need to get closer to certain problems or issues to experience them for real and draw your own conclusions. Relationships need extra energy and effort this week; even when you try to be diplomatic and understanding, it may not be enough, or it may not give the results you want. You may get comments like, “you’re just saying sorry, you don’t mean it.” You have to back words up with action to make what you say stick as your partner will not be satisfied. There can be a mismatch of needs, and one or both of you may be trying very hard but not striking the right notes. Problems can arise when there are clashes between your respective groups of friends. You may have to put up with friends of his whom you dislike, and he may complain about some of your friends. This can make allocating time at the weekend rather hard. Maybe you both have to put your friends second and prioritise your relationship/marriage. If you are newly in a relationship, the fact that you prefer to spend time with friends rather than your new partner is indicative of the fact you do not feel as comfortable or are not having as much fun with him/her as you should be, and you may want to reassess the relationship. There can also be arguments caused by the amount of money you are both spending socially, i.e., you may be invited to a wedding, and one of you wants to be far more generous with the wedding gift than the other. In general, friends and your social life are not in sync with your love relationship, and it tends to be a choice between keeping friends happy or keeping him/her happy. This month is very challenging for those of you who do not have their heart in their job; this can be a eureka moment when you suddenly realise that due to changes in personnel or working environment it is no longer fulfilling for you. 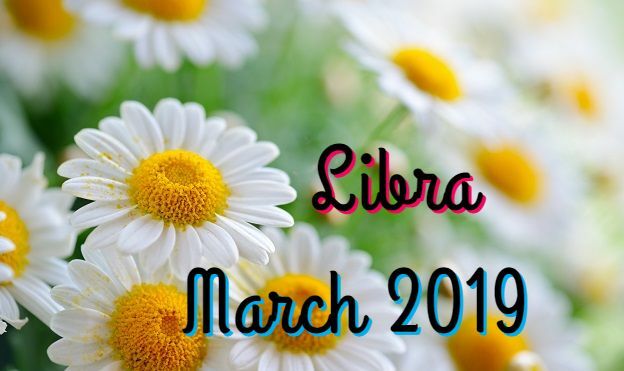 Often for Libra, this month is the one when you begin to see that the role you are in is no longer challenging or satisfying you and you are ready for something else. You may not know exactly what you want to do next, but it could be the start of an experimentation period where you try out various jobs or even temp for a long period until you discover what inspires you. You may in the process of becoming self-employed, but you are having a period of uncertainty and financial deficit while you seek premises and build up a client base; it may be a while before you are fully on your feet. In some cases, you have not physically left your old job, but you have mentally checked out and are thinking ahead to pastures greener. This month, temporary work, zero hours contracts, acting as an extra or volunteer work can be very helpful for those in between jobs to gain experience, references or extra money. In some cases, Libra may feel in a limbo regarding their work – you may be waiting for a major announcement from your employer or waiting for a client to make up their minds so that you can proceed. Many Libran (who are young) may get their first job at the supermarket, delivering papers, waitressing, etc., and this can prove to be quite an awesome experience which can teach you about the subtle aspects of working with people. This is a good month to approach a potential business partner about forming a working relationship – this month could be the first contact, and you should not be put off if it does not go well; exchange details, and you will be surprised when they get in touch a few months later.